2016 is going to be a big year for Behavioral Health, thanks to The Excellence in Mental Health Act (ExAct) passed in 2014. The ExAct is a crucial step towards taking Behavioral healthcare off the back burner and sparking an important discussion on mental health. 2016 is going to be a big year for Behavioral Health, thanks to The Excellence in Mental Health Act (ExAct) passed in 2014. The ExAct is a crucial step towards taking Behavioral healthcare off the back burner and sparking an important discussion on mental health. According to the National Council for Behavioral Health the program will “increase Americans’ access to community mental health and substance use treatment services while improving Medicaid reimbursement for these services.” The program has allocated over $1 billion to help protect and enhance community-based mental health programs, which is the largest federal investment in behavioral health services in a very long time. Let’s take a look at the progress the Excellence in Mental Health Act has already made and what might be in store for 2016. 8 states will be chosen to take place in the CCBHC demonstration. The vision for these clinics will be for states to improve public health by improving and providing better community based mental health and substance use treatment. The end goal is to integrate behavioral health fully with physical healthcare. October 23, 2016: Deadline for states to submit their applications to participate in the demonstration. The demonstration program includes provisions that will provide CCBHCs with the financial footing to deliver these required services. 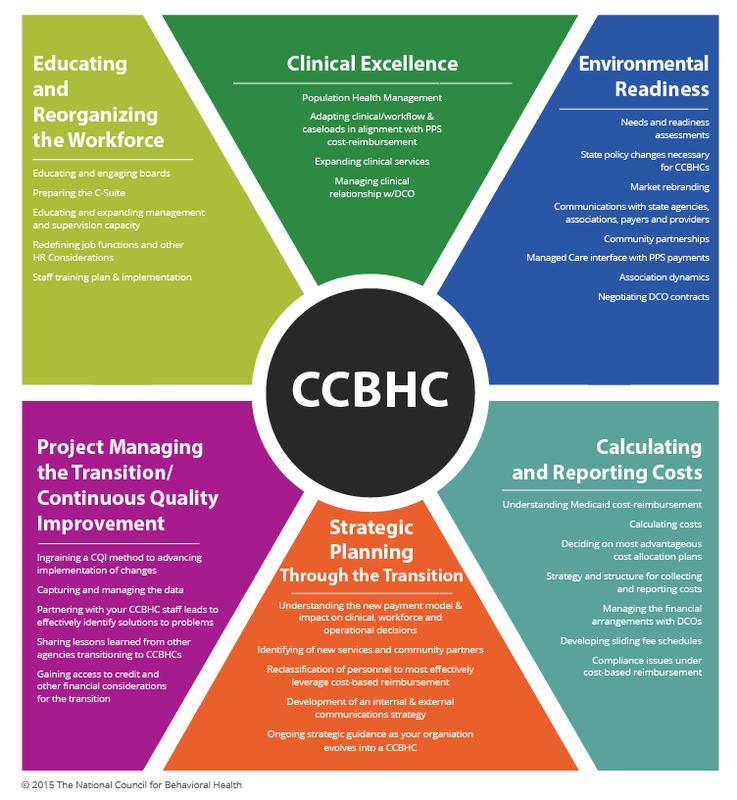 You can learn more about what it takes to be a CCBHC here. Originally posted on the BHM Healthcare Solutions blog.